You know what’s really fun? I was in a local bookstore to finalize some arrangements on an upcoming book signing and a woman came up the counter carrying a few mystery novels in her arms. She asked for recommendations on similar titles. I struck up a conversation with her about mysteries and thrillers. Then – It happened. “There’s my favorite,” I said, pointing at a a title displayed on a shelf. It was Little River, my book. She picked it up, looked at the photo on the back cover, glanced up at me and looked back at the cover once more. “I hope you like it,” I said and walked away. If you’re in the El Dorado Hills, California area on March 7, 2014, stop on by the Face In A Book bookstore at 4359 Town Center Blvd., #113 El Dorado Hills. Bestselling Fantasy Author, Brenda Pandos and I will be there from 6 pm to 8 pm to meet with readers and talk about our books. Come on by – it promises t be a blast. 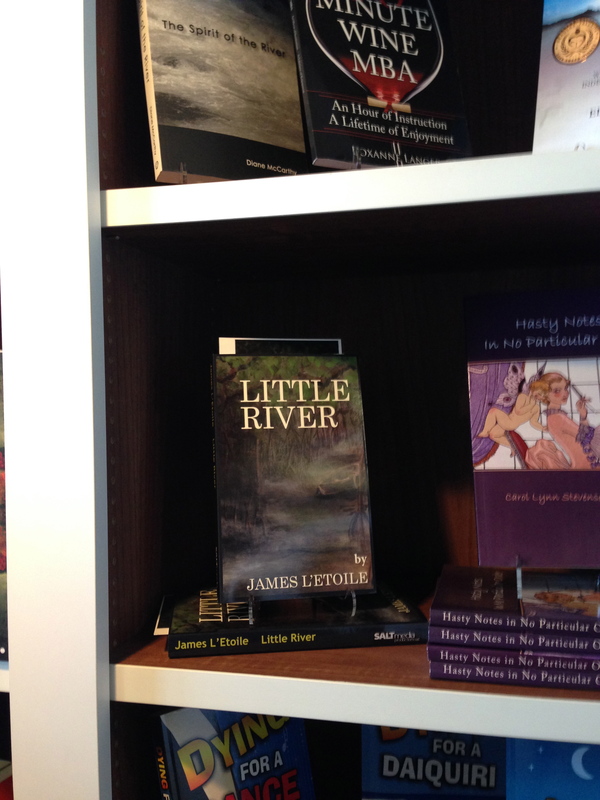 A portion of the Little River sales proceeds are donated to Not For Sale.org to help in their efforts to fight human trafficking.